More than half of new cars sold in the UK today contain some sort of autonomous safety technology, a study by the Society of Motor Manufacturers and Traders (SMMT) has found. Of the 2.63m cars registered in 2015, just over 1,000,000 featured autonomous emergency braking, 943,000 were fitted with blind spot monitoring, 835,000 with adaptive cruise control, and a staggering 1,500,000 included a collision warning system. Those numbers are made up of features fitted either as standard or optionally. Blind spot monitoring, for example, was standard in just 3.4 per cent of cars sold in 2015, but specified as an option in 32.4 per cent of them. According to the SMMT, five years ago just ten per cent of new cars were fitted with this tech overall. Blind spot monitoring is not a ‘self-driving’ facility as such, but the radar technology is utilises is requisite for autonomous driving. 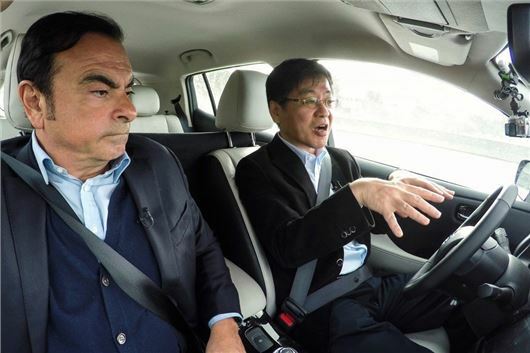 It serves as an example of the advances that autonomous systems are making in improving overall car safety. “Fully driverless cars are still a long way off from everyday use, but this data shows advanced autonomous technology is already making its way into the majority of new cars,” said SMMT Chief Executive Mike Hawes. The SMMT reports that self-driving technology will see a sharp cut in the number of fatalities on the roads, with 2,500 lives saved and 25,000 serious accidents prevented by 2030. By the same year, autonomous cars will have already added billions of pounds to the economy by way of extra productivity and the creation of an estimated 320,000 jobs – 25,000 in the automotive industry alone.